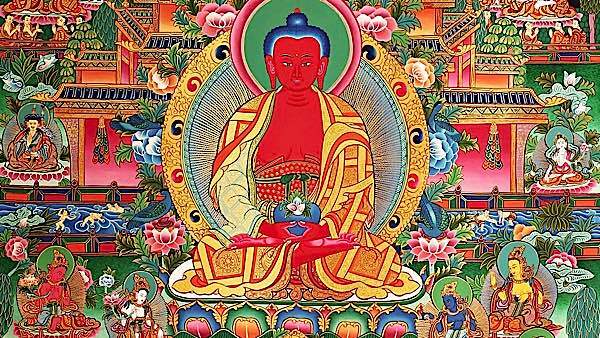 Who is Amitabha, the Limitless? Magic or Metaphor or Neither? Why recite the name of Amitabha? 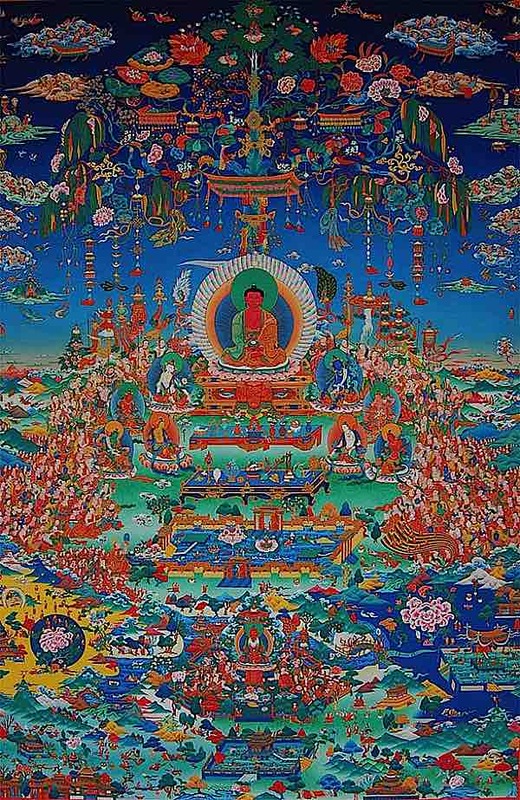 Amitabha Buddha surrounded by Enlightened Beings in Sukhavati, the Western Pure Land. In the same way, we could say Amitabha and Sukhavati Pure Land are “not inside, not outside, and not in between… not past, not present… not future.” Modern Buddhists tend to say, not a place out there” but rather, a place “within.” Since we all have “Buddha Nature” within, we all have Amitabha and His Pure Land within. It is probably because all students have different understandings, different capabilities ­and karmic imprints that Buddha taught many paths to ultimate realizations. If one wishes to believe in the Pure Land as a paradise in the West where we go after death, this is not wrong. If one wishes to believe the Pure Land is a metaphor and that it exists only in the mind, this is also not wrong. 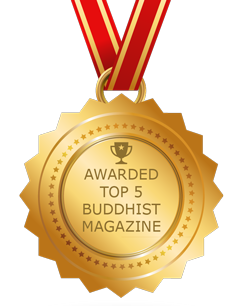 In Sukhavati, followers receive precious Dharma teachings from Amitabha Buddha. Amitabha Buddha in Sukhavati, the Western Pure Land. Amitabha — the most beloved of Buddhas after Shakyamuni Himself — is equally both difficult and easy to comprehend. Easy to practice, certainly. Simply chant his mantra, his name or his praise. 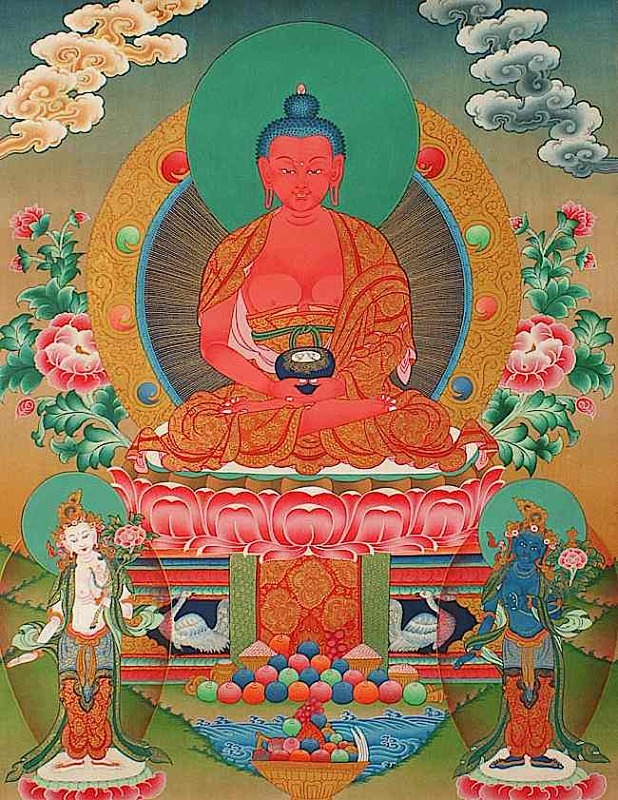 Shakyamuni Buddha, in the Amitabha Sutra, taught that single-pointed contemplation on Amitabha, chanting his name at the moment of death, is the sure path to the Pure Land, the Western Paradise. Why then do we say “difficult?” Because faith is required; not blind faith, but faith in the skillful methods and teachings of the Buddha. A popular visualization of Amitabha, with symbolic attributes, such as red skin, begging bowl and lotus flowers. 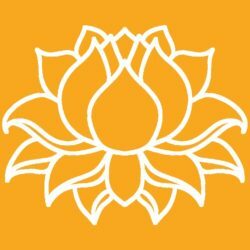 Amibtabha is the head of the “Lotus” family, the compassion of the Buddhas. What did Shakyamuni Buddha mean when he taught we could obtain the Pure Lands after death? That we’d be magically swept up in the shining hand of the great and glorious Amitabha and whisked off to Paradise? Or, that, our single-pointed contemplation and visualization would help us overcome the obstacles, obscurations and karmic imprints of our troubled minds? Or somewhere in between? It doesn’t matter, which extreme you believe with regard to Pure Land — actual paradise, metaphor, mind, or something else — the point is to single-pointedly concentrate on the ideal perfection of Amitabha. Ultimatley, this perfection is also within us, since Shakyamuni Buddha taught us that all sentient beings have Buddha Nature within. Manjushri, Bodhisattva of Wisdom, attends the sutra teaching of Shakyamuni Buddha. Does that mean that we shouldn’t believe in a substantial place, Sukhavati, the glorious Pure Land? The best answer is, we shouldn’t overthink it, because ultimately it doesn’t actually matter. At the level of ultimate reality, all things are Oneness or Emptiness, therefore even what we perceive to be our ordinary world is not a “substantial” reality either. It is dependent on other — dependent arising. At the level of mind, all things are possible and real. If all things are dependent on mind, so too, is the Pure Land. So, if the Pure Land is not objectively real, in the sense of jeweled mountains and birds who proclaim the Dharma, it makes no difference. 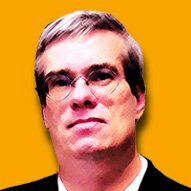 If it was objectively real at the relative level, at the ultimate level it still would make no difference. The point of this practice is to fully engage body, mind and speech in Dharma, and thus purify our minds of obscurations and leave no room for obstacles and cravings. Then, we approach paradise. Peace. Stillness. And, the opportunity to develop realizations. There are many methods taught by Shakyamuni Buddha to attain realizations. Many are difficult and take a lifetime (or lifetimes) to attain. All require we remove our cravings and attachments and obstacles. And, arguably, the simplest one is the recitation of Amitabha’s name or mantra. Why? Just, as we focus on breath in mindfulness practice to help develop realizations, here, in Amitabha pratice, we focus one-pointedly on the magnificence of Amitabha Buddha and the Pureland — and especially His name. When we do, all doubts, pains, fears, illnesses, cravings and attachments disappear — there is no room for them at all. It’s not necessarily magic (although it can be magical) but simply that all these sufferings of samsara have no room to arise when we are focused on this one, magnificent meditation. Body: we sit in contemplation, we might count our recitations on a mala, or we might engage in prostrations, drumming on a fish drum or other “body” repetitive actions. Mind: we one-pointedly contemplate the stunning glorious visualization of Amitabha and Western Paradise. At that time Buddha said to the Elder Shariputra: “West of here, past a hundred billion Buddha-lands, there exists a world called “Ultimate Bliss”. In this land there exists a Buddha called Amitabha, who is expounding the Dharma right now. [Buddha says to Shariputra:] “Why is this land called Ultimate Bliss”? It is called “Ultimate Bliss” because the sentient beings in this land are free from the myriad sufferings, and only know every kind of joy. And there is more — celestial music is constantly playing in this Buddha-land, and the ground is made of tawny gold. Flowers in the shape of heavenly orbs rain down at all hours of the day and night. Every morning the sentient beings of this land decorate their garments with multitudes of wondrous flowers and make offerings to hundreds of billions of Buddhas in other worlds. When it is meal time, they return to their own lands, to eat and circumambulate [the teaching assembly]. And there is more still — in this land there are birds of all sorts of wondrous variegated colors: white cranes, peacocks, orioles, myna birds, cuckoos. All these birds bring forth harmonious songs day and night. 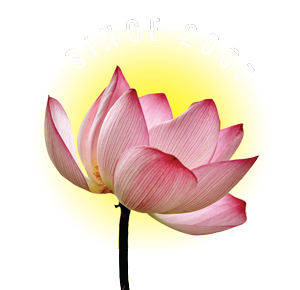 Their songs communicate such Buddhist teachings as the five roots, the five powers, the seven factors of enlightenment, the eightfold path, as well as other teachings. When the sentient beings in this land hear the voices of the birds, they are mindful of the Buddhas, mindful of the Dharma [Buddha’s teachings], and mindful of the Sangha [Community of Seekers of Enlightenment]. If there are good men or good women who hear of Amitabha Buddha, and recite his name single mindedly and without confusion, for one day or two days or three days or four days or five days or six days or seven days, then when these people are about to die, Amitabha Buddha and all the sages who are with him will appear before them. When these people die, their minds will not fall into delusion, and they will attain rebirth in Amitabha Buddha’s Land of Ultimate Bliss. Right now I am extolling the benefits of the inconceivable merits of Amitabha Buddha. But in the eastern direction there are also countless other Buddhas, like Akshobhya Buddha, and the Buddha “Marks of the Polar Mountain”, and the Buddha “Great Polar Mountain”, and the Buddha “Light of the Polar Mountain”, and the Buddha “Wondrous Voice”. Each of them preaches in his own land with the eloquence of a Buddha, and covers a whole cosmos, speaking the truth. All of you sentient beings should believe this scripture extolling their inconceivable merits, and which all Buddhas protect and keep in mind. In the worlds of the southern direction there are countless other Buddhas, like the Buddha “Lamp of the Sun and Moon”, and the Buddha “Light of Renown”, and the Buddha “Great Flaming Shoulders”, and the Buddha “Lamp of the Polar Mountain”, and the Buddha “Infinite Progress”. Each of them preaches in his own land with the eloquence of a Buddha, and covers a whole cosmos, speaking the truth. All of you sentient beings should believe this scripture extolling their inconceivable merits, and which all Buddhas protect and keep in mind. In the worlds of the western direction there are countless other Buddhas, like the Buddha “Infinite Life”, and the Buddha “Innumerable Characteristics”, and the Buddha “Innumerable Banners”, and the Buddha “Great Light”, and the Buddha “Great Illumination”, and the Buddha “Mark of Reality”, and the Buddha “Light of Purity”. Each of them preaches in his own land with the eloquence of a Buddha, and covers a whole cosmos, speaking the truth, All of you sentient beings should believe this scripture extolling their inconceivable merits, and which all Buddhas protect and keep in mind. In the worlds of the northern direction there are countless other Buddhas, like the Buddha “Flaming Shoulders”, and the Buddha “Supreme Voice”, and the Buddha “Unstoppable”, and the Buddha “Born of the Sun”, and the Buddha “Netted Light”. Each of them preaches in his own land with the eloquence of a Buddha, and covers a whole cosmos, speaking the truth. All of you sentient beings should believe this scripture extolling their inconceivable merits, and which all Buddhas protect and keep in mind. In the worlds of the nadir there are countless other Buddhas, like the Buddha “Lion”, and the Buddha “Repute”, and the Buddha “Light”, and the Buddha “Dharma Banner”, and the Buddha “Upholding the Dharma”. Each of them preaches in his own land with the eloquence of a Buddha, and covers a whole cosmos, speaking the truth. All of you sentient beings should believe this scripture extolling their inconceivable merits, and which all Buddhas protect and keep in mind. In the worlds of the zenith there are countless other Buddhas, like the Buddha “Pure Voice”, and the Buddha “Sojourner King”, and the Buddha “Incense Fragrance”, and the Buddha “Fragrant Light”, and the Buddha “Great Blazing Shoulders”, and the Buddha “Body of Multicolored Jewel Flower Garlands”, and the Buddha “Sala Tree King”, and the Buddha “Precious Flower Virtue”, and the Buddha “Sees All Truths”, and the Buddha “Like the Polar Mountain”. Each of them preaches in his own land with the eloquence of a Buddha, and covers a whole cosmos, speaking the truth. All of you sentient beings should believe this scripture extolling their inconceivable merits, which all Buddhas protect and keep in mind. ” My understanding of the Pure Land comes primarily from what I learned from the late Professor Takamaro Shigaraki. In one of his essays, titled simply, Jodo (The Pure Land), he explains that the Pure Land has the following meanings for us today. It is a symbol for the world of enlightenment. It is a manifestation of the world of enlightenment. For me this is the easiest path to liberation, having tried unsuccessfully in countless others. Paradoxically, it’s also difficult, as in, you still have to put in the work, often cultivating alone which can be tricky.